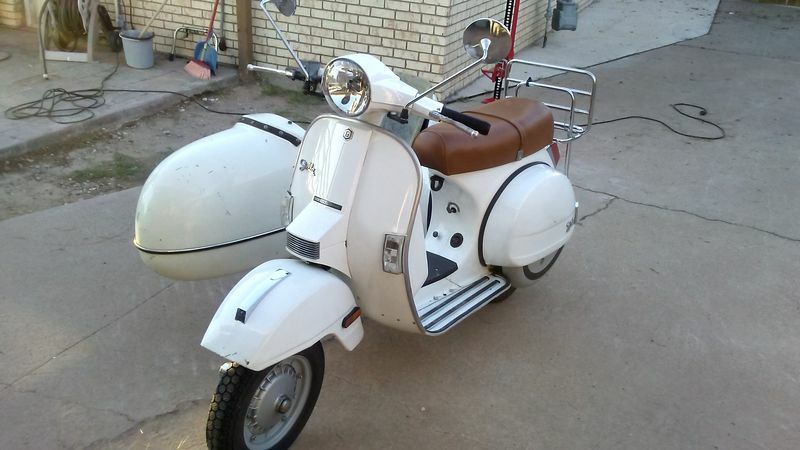 Good morning I am new to the forum, my name is David from El Paso TX and I just recently got my hands on a 2005 Stella 2T (For 1000 DLL) some time later, I wanted to try to attach some kind of sidecar but I realized these are very hard to get for these Vespa style scooters. 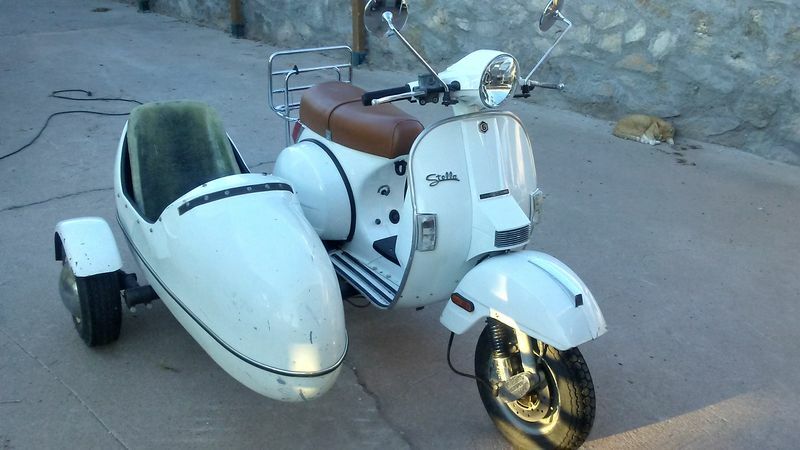 Long story short, I got a hold of a guy near phoenix (Camp Verde) who had this side car in his garage, which I later learned these are California sidecars (I believe this is the PARTNER model). He sold it to me for 1,100 DLL. I am not sure if I paid to much or too little. 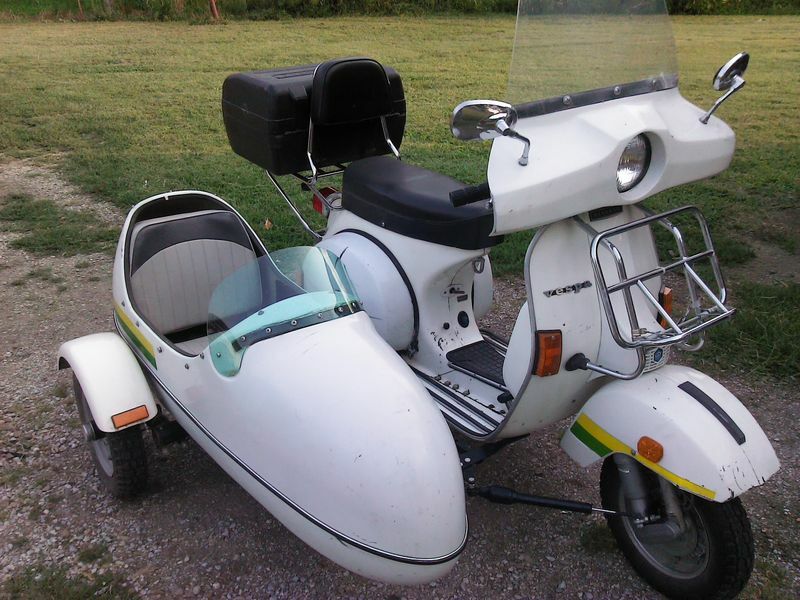 Only thing I knew was that I had been looking for this sidecar for almost 4 months without any luck so I didnt give it a second thought. I have rode it twice with the sidecar without any issues. I am still learning how to drive with it and getting used to the momentum, but so far so good. 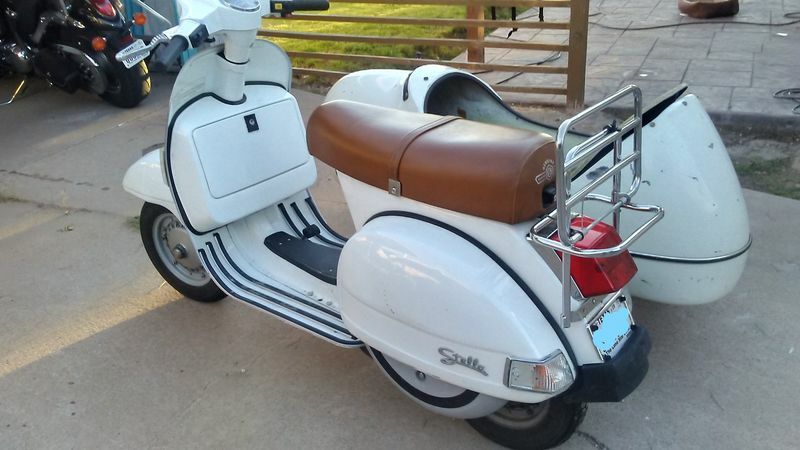 I am also doing some upgrades, first I sent the leather seat, the cover and inside carpet of the sidecar to a place to remake them in same color as the seat in my Stella. I am also doing a paint job (white) and I am adding some features like a headlight and a stop and turning signal. I also bought a bluetooth sound system (not even sure if battery will handle this) and a windshield (A short version). 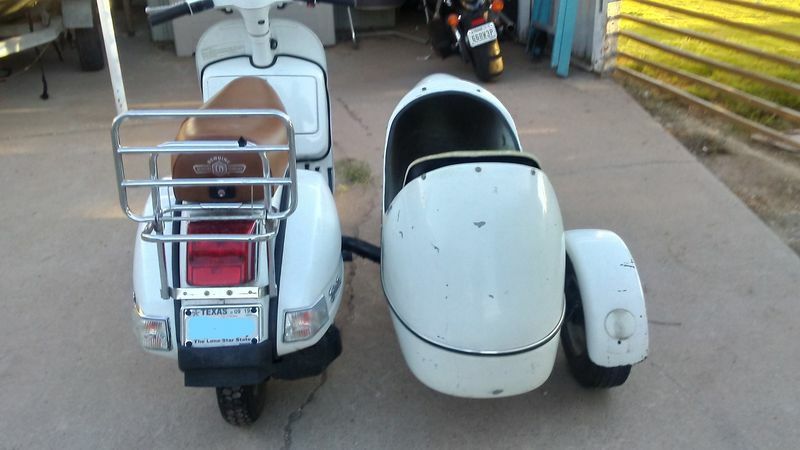 I also tried to find a white wall tire for the sidecar but had no luck the tire is 4.8 x 8 so I am not sure if I can change this size in order to replace with a white wall tire. What do you think I should do with the rim on the side car because I am not diffing the chromed look that much. I don't think you paid too much for the car. They are hard to come by and if you find one you should not complain and pay up. I had a P200 with a California Partner car so I might be able to help you if you have any questions. The biggest problem that I had was a vicious wobble that I cured by fabricating brackets to accept a VW Beetle steering damper. Worked like a charm. I also made a wheel adapter to use a Vespa wheel on the car. That way I had to carry only one spare. 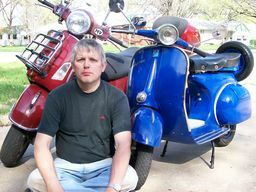 Thank you for your reply, Wow is nice to find someone with my same sidecar model . 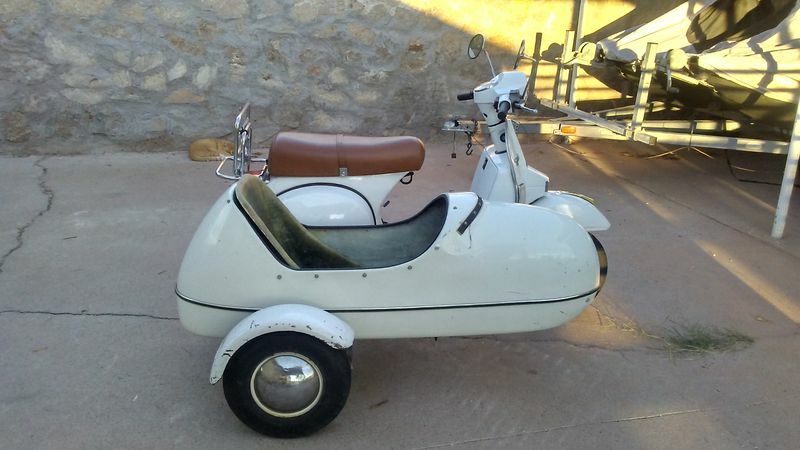 Yes I really thought I was never going to be able to find this sidecar. I actually drove all the way to phoenix to get it. I really like your windshield, That is exactly what I had in mind when I thought about installing one, in order to avoid air resistance. Where did you get it? or did you fabricate it yourself? 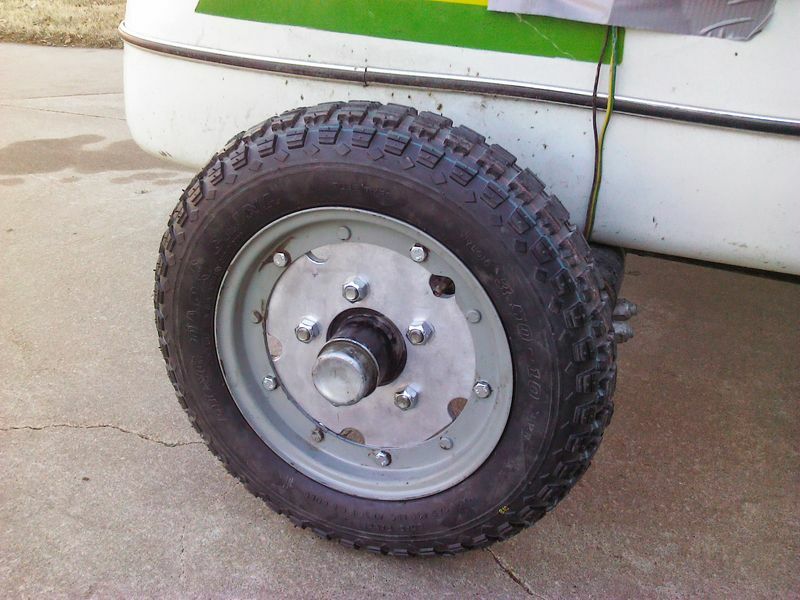 Also would you mind sharing what dis you have to do to adapt a 3.5 x 10" Tire into the side car. That is brilliant in the fact that like you said, you only have to carry one spare!! I am down to do that also. In regards to the steering damper would you also mind showing how exactly were you able to install it? 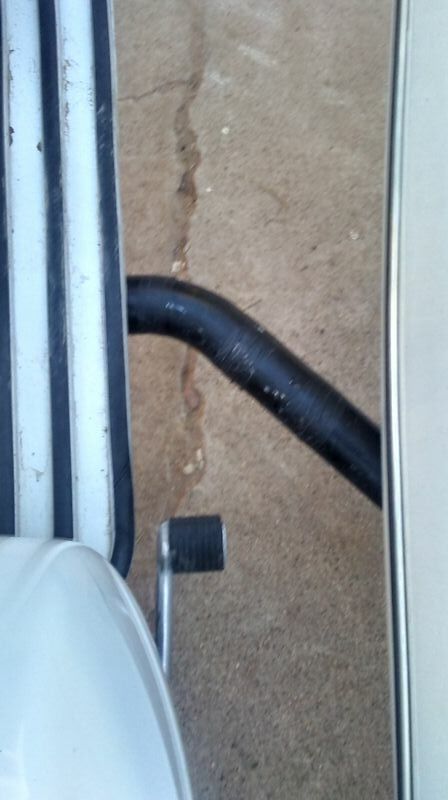 Do you have any dimensions or pictures of the bottom of your Vespa to be able to see the attachment. I am definitely doing this as well. I fabricated the windshield after I broke the original. It is the same size as but thinner The original was molded into a curve and I couldn't do that so I made it from 1/8 inch Lexan that I could bend into a curve. It got the job done but it seemed fragile. I remember seeing a molded aftermarket windshield was available. I don't remember where I saw it. It was much taller and quite pricy. About $200 if memory serves. As far as the damper goes there is not much to show on the bottom. 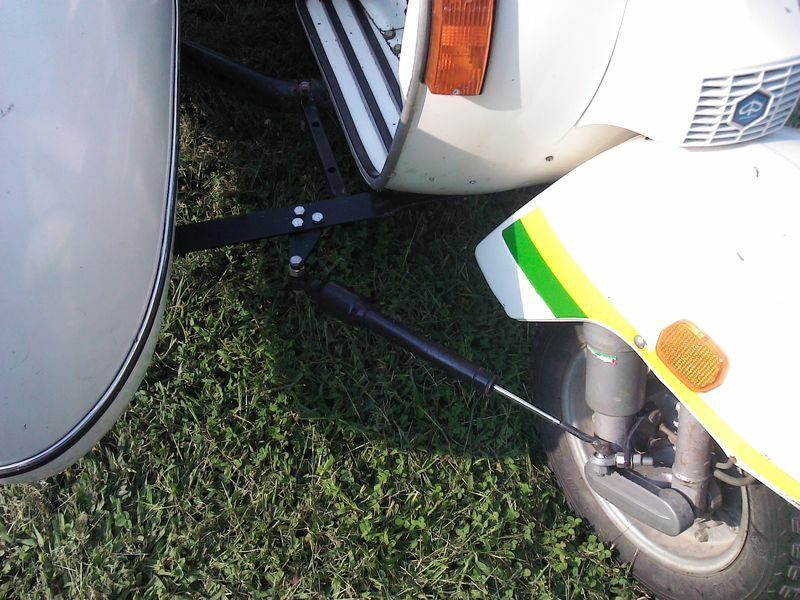 A steel bar goes from the bottom of the car and attaches to the scooter body with a bolt hole drilled near the rear brake lever. 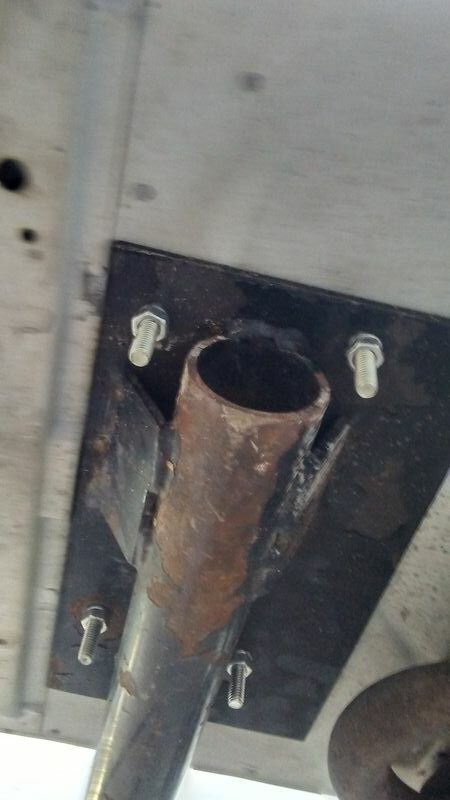 The bar has to be twisted to lay flat. Believe it or not the hard part was the little bracket that mounts to the fork at the bottom of the shock. I had to be sure the damper did not interfere with the wheel no matter how the handlebars were turned or whether the suspention was compressed or extended. I had to make about six of those little brackets before I got it right. 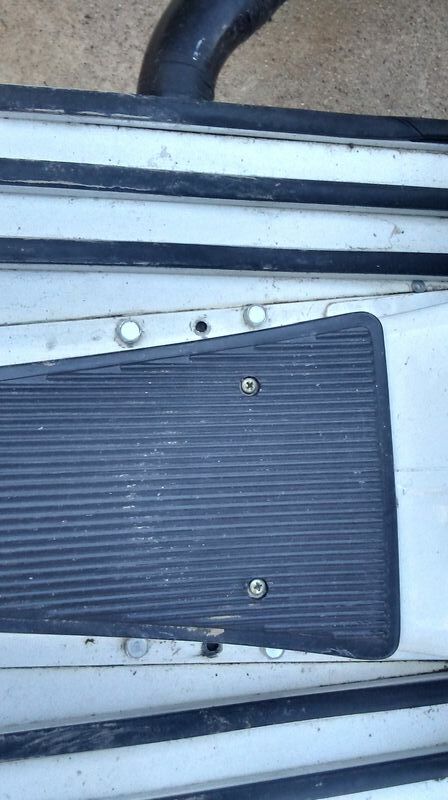 The wheel adapter is made from 1/2 inch thick aluminum plate. I wouldn't skimp and go thinner. The hard part about that was getting all the lug hole in exactly the right place. 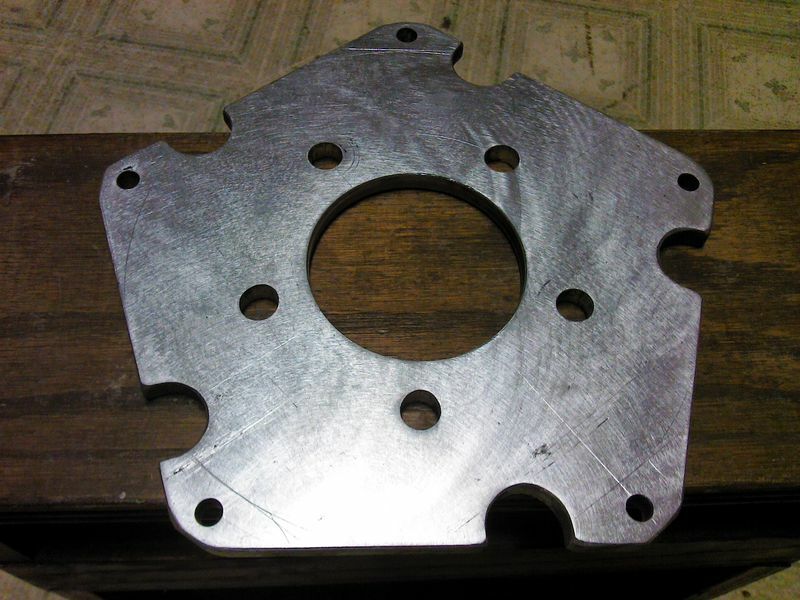 I did it by laying it out very carefully by eye but if you could find someone with a CNC machine that would be better. Thank you vintage, sound like you got all the right tools. I might just have to find someone with these tools. I don't feel that confident myself to venture into these projects. I might just have to find someone. Maybe the plexiglass, but that's about it hehe, but your explanations helps out a lot to me to be able to explain to whomever ends up helping me with this. By any chance do you have the dimensions on that template? Sorry, no. I didn't make a separate drawing. I just laid it out the dimentions on the piece of metal itself and I have since sold the scooter and side car.